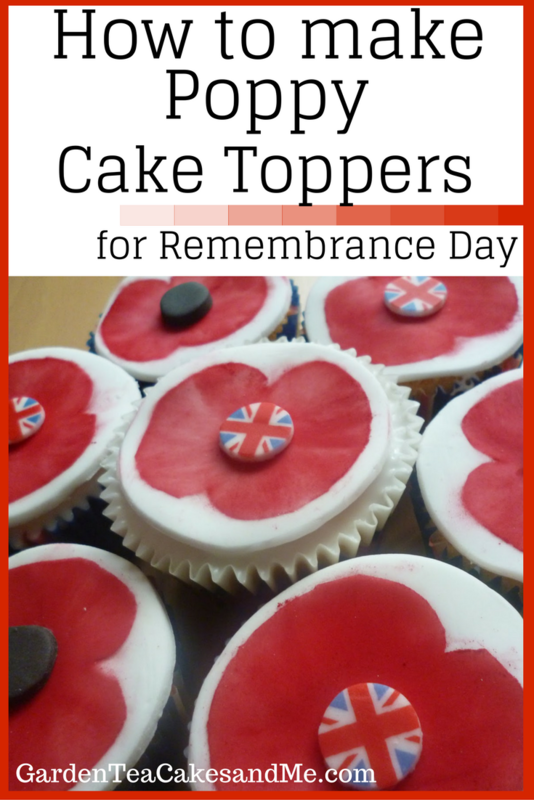 Last year I made Remembrance Day cakes to raise money for The Royal British Legion to mark Remembrance Day. I've made more Remembrance Day cakes this year, again using the poppy design. I sell the cakes to family and friends, on average I received £1 for each little cake, thanks to everyone's generosity. I made a batch of cakes using my easy fairy cake recipe. Then I made the toppers using a stencil and template I had created. I made 2 different types of poppy toppers, one a stencilled poppy using luste dust and another a sugar paste cut out. Before you start you will need to create a simple stencil from card, as you can see from my photo. You will need: white sugar paste, black sugar paste, red lustre dust, small brush, piece of card. Roll out white sugar paste, place the card with the shape of the poppy cut out on top of the sugar paste. Using the brush pick up some of the red lustre dust and gently brush it onto the sugar paste. Carefully lift off the stencil. Cut out your cake topper using a round pastry cutter. Roll out black sugar paste and cut out a circle, using a small round cutter or create a stencil. Use a little icing sugar and water mix to fix the black circle to your poppy. Fix the poppies to your cakes using a little simple icing sugar and water mixture. You will need: red sugar paste, black sugar paste, piece of card, sharp knife. Roll out white sugar paste, place the poppy shaped piece of card on top of the sugar paste. Using a sharp knife carefully cut around the poppy shape. I had some spare Union Jack cake toppers you could cut them down in size to create a patriotic alternative to the poppy centre. I continue to research the maternal side of my family tree. This remembrance day post is dedicated to Frank Gaines born 16 Sept 1893 who died aged 23. A Stoker in the Royal Navy on board the HMS Vanguard Dreadnought battleship, when on the 9 July 1917 the battleship was destroyed by an internal explosion whilst at Scarpa Flow, Orkneys. 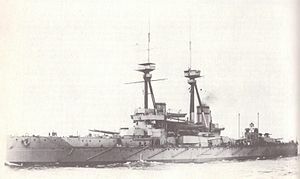 Over 800 men lost their lives. those are brilliant cakes, family tree research is so much fun. Angela, your cakes are always so stunning! And this is a lovely story too. Such a wonderful idea for fundraising, well done!